Takeaway: A workplace wellness program saves money, increases productivity, and can be implemented in seven steps. In the United States, the cost of healthcare has significantly increased over the last thirty years. Furthermore, it has become a financial burden for many working adults. Most adults will eventually suffer from some form of chronic diseases in their later years. These include diabetes, cancer, and cardiovascular ailments. Additionally, the risk for chronic diseases increases with the adoption of unhealthy behaviors such as lack of exercise or a sedentary lifestyle, poor diet, and regular consumption of tobacco and alcohol. Natural health decline due to age and these health behavior risks can result in high healthcare costs. In order to break this cycle, the behaviors of working adults must be changed. However, changing a person’s behavior can be a difficult task, especially in the workplace. A workplace wellness program can help set up an employee for a lifetime for healthier choices that can mitigate rising health risks and costs as they age. A workplace wellness program employs the use of various strategies, with an intended goal of promoting healthy lifestyles among employees and their families. A workplace wellness program can entail the subsidized use of fitness facilities, policies that promote healthy behaviors, and/or health education classes. What are the key elements of a workplace wellness program? When developing and implementing a workplace wellness program, it is important to consider that every workplace is different and therefore the needs of the employees will also differ. Good program planning will be necessary to create a good program. In order to evaluate the needs of a specific workforce and company, several steps should be followed. A successful workplace wellness program is dependent upon support from all levels of management. However, to gain support from management, it is crucial to inform managers about the intended goal of the program and its benefits, as well as encourage them to participate in shaping the program. The wellness council will be responsible for promoting the program, planning activities, and communicating with management and employees, as well as evaluating the program periodically. The committee should be comprised of staff representatives from all levels and departments within the organization as well as union representatives if a union is active at the worksite. Either management or the wellness council should elect and appoint a Wellness Coordinator. The Wellness Coordinator will be responsible for leading the wellness council and coordinating the internal delivery of the program. Key needs of the employees and the expectations of the workplace must be identified. The employees’ needs, attitudes, and preferences should be determined. This information can be obtained through surveys, interviews, suggestion boxes, and table meetings. Additionally, a health culture audit should be performed to assess the beginning worksite health culture, as well as identify any cultural supports and local resources that may already promote healthy behaviors among employees. Based on the information obtained in the previous step, firstly identify what actions need to be undertaken and then prioritize these actions. Next, realistic targets and timelines should be set. These should include both short-term and long-term goals. Secondly, plan how and when the program will be initiated, as well as how to maintain the interest of employees. Thirdly, identify what resources will be needed at each step of the program development, such as time and money. Finally, when delivering the program, consider organizing the activities into three main areas: (1) education and awareness to provide the employees with knowledge; (2) skill building, which will encourage employees to get actively involved in changing poor health-related behaviors; and (3) work environment, which would entail changes in the work environment that will support the initiative set forth by the program. This step involves spreading word about the program to everyone. Communicating and promoting the program can be done via the use of posters around the workplace, sending information through staff emails, posting on bulletin boards, hosting meetings by management to tell employees about the program, as well as formally introducing corporate policies that state the importance of workplace health promotion. Any incentives offered to employees for reaching plan milestones or goals should be effectively communicated at this time. Periodically monitor the progress and results of the wellness program. Additionally, review and evaluate the program, revising strategies where necessary. Furthermore, compare these results with the baseline data to determine whether or not the program is meeting goals and benchmarks. If a program is not meeting planned goals and benchmarks, changes to the program or incentives should be considered and a plan for getting back on track should be implemented. New health concerns not previously identified before the start of the program may need to be incorporated into the program as well. So, why should there be a workplace wellness program at your workplace? Remember, when setting up any program, always include training and other forms of support. Additionally, as with any other health and safety program, there must be compliance with specific laws and regulations. 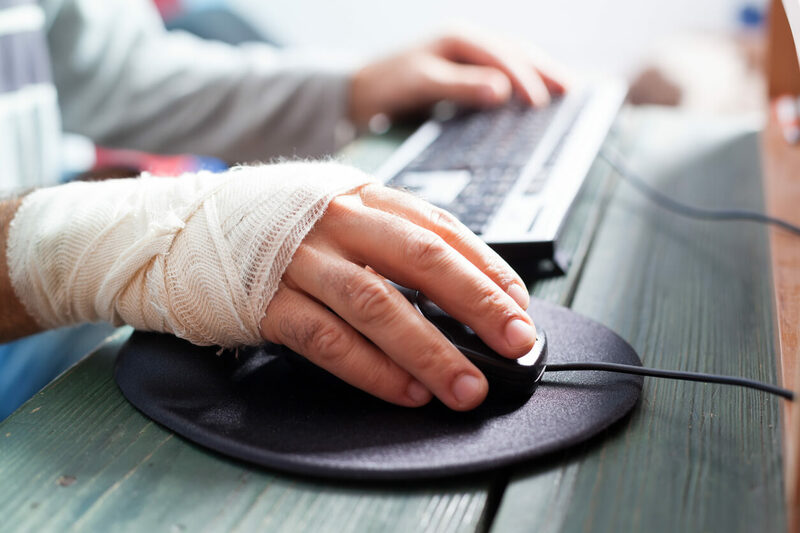 Although workplace wellness programs may differ from traditional health and safety programs, it should be noted that employees are exposed to a wide range of hazards and dangerous situations in the work environment. As such, workplace wellness issues and health and safety are dependent on each other. In conclusion, health is an important issue to be addressed by both employers and employees alike.